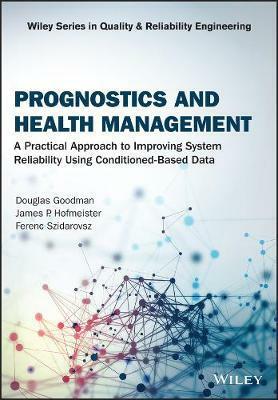 Prognostics and Health Management provides an authoritative guide for an understanding of the rationale and methodologies of a practical approach for improving system reliability using condition-based data (CBD) to the monitoring and management of health of systems. This proven approach uses electronic signatures extracted from condition-based electrical signals, including those representing physical components, and employs processing methods that include data fusion and transformation, domain transformation, and normalization, canonicalization and signal-level translation to support the determination of predictive diagnostics and prognostics. Douglas Goodman is Founder and Chief Engineer of Ridgetop Group, Inc., Arizona, USA. James P. Hofmeister is Distinguished Engineer, Advanced Research Group, Ridgetop Group, Inc., Arizona, USA. Ferenc Szidarovszky, Ph.D, is Senior Researcher, Advanced Research Group, Ridgetop Group, Inc., Arizona, USA.